How would you like yours to be a story of survival and triumph that transcends into immortality? 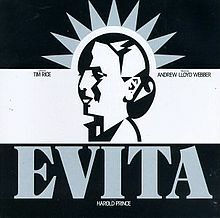 I went to see Evita the musical with a dear friend recently. To chill, hang out and catch up. Not to look for lessons! But life seems to want to offer me lessons everywhere I turn. Sometimes, honestly, I don’t pay attention. Sometimes I do. And sometimes, I feel compelled to share them with you. Here are some life lessons I learnt from Eva Peron’s life and legacy. Pick what you need for your own life today! Your past does not have to determine your future. You have a significant role to play in how your life turns out. True love does actually exist :-). Will you be an entity of love? Giving and receiving love? In the true sense of the word? It’s not really how long you live that makes the difference, but the impact you make. This is not easy to accept by the bereaved so please be wise and don’t go preaching it at anyone who’s lost somebody close to them! Just know it for yourself and seek where and how you are to make an impact and go about living your life on purpose. One permanence in life is change. Will you play an active role in the inevitable changes in your life or will you just ride along like a passive observer? There’s no right or wrong answer. Just being aware of our own preferences is powerful and freeing. Another final permanence is death. Yet your life could speak beyond your grave: in your legacy. What is yours to be? For you to be able to make an impact; to be able to stand up for somebody; to be able to stand up for something significant; to be able to stand up for anything worthwhile; you first have to be willing and able to stand up for yourself. If you find yourself stuck in any aspect of your life and you need some help with getting unstuck, contact me here for a free no obligations consultation. If you would like to have access to the support and inspiration I offer my free online community, join us here. Finally, remember, if things do not change, they remain the same. How would you embrace the changes in your life? We need to believe in ourselves first!